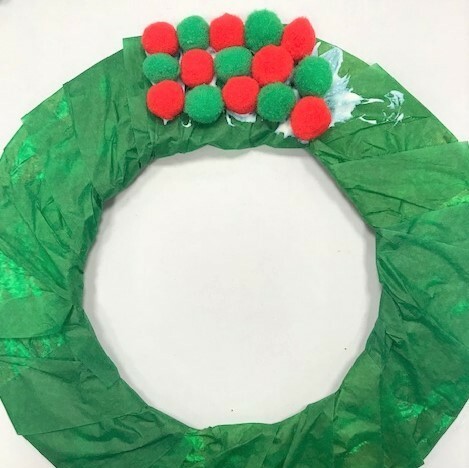 We are half way through our 12 Crafts of Christmas activity and today’s craft is all about the decorative wreath. 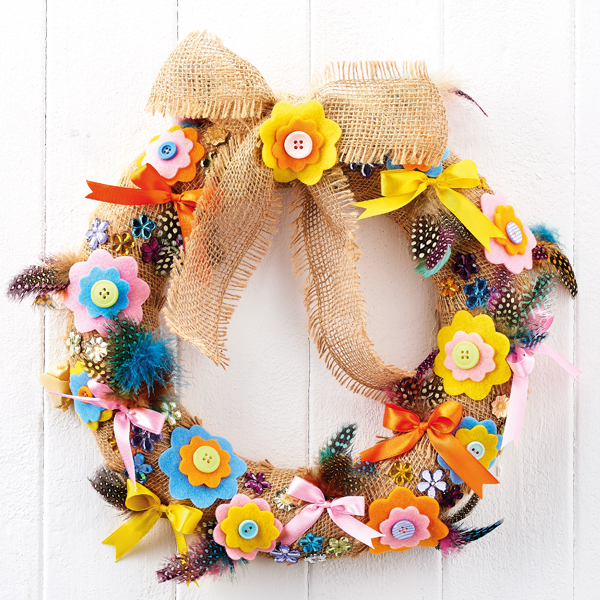 This make shows you how to create a vibrant and fun twist on a typical foliage wreath by using coloured pom poms. 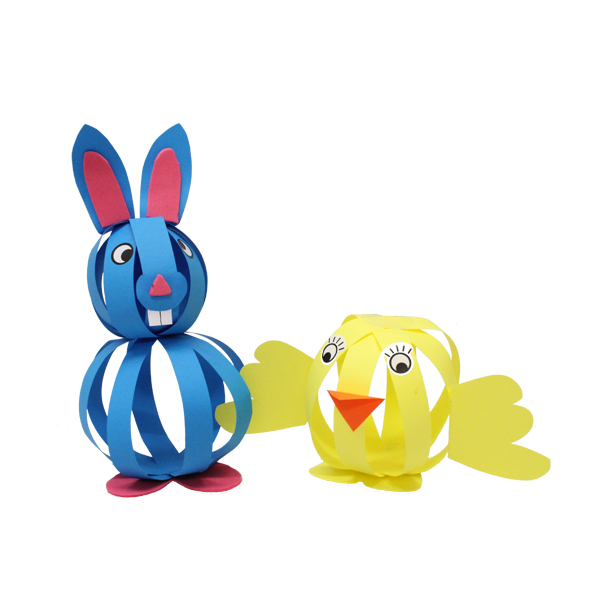 Kids will love getting involved with this activity by adding their own colours to create a really fun indoor decoration. Using your dinner plate as a template, draw around the plate onto your flattened cardboard and cut it out. 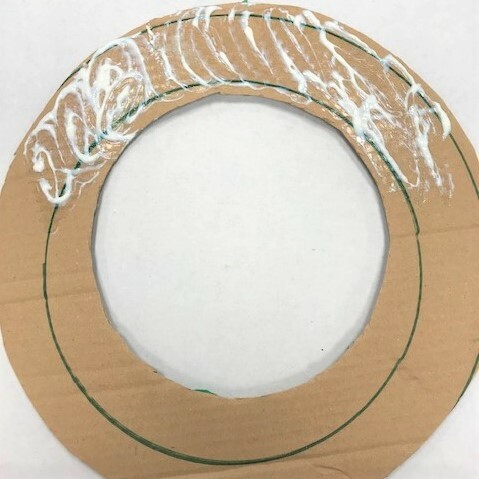 Take your side plate and in the centre of your cardboard circle, draw around the smaller plate and cut this out so you are left with a cardboard hoop. Cut your tissue paper into strips of approximately 4 inches in width. 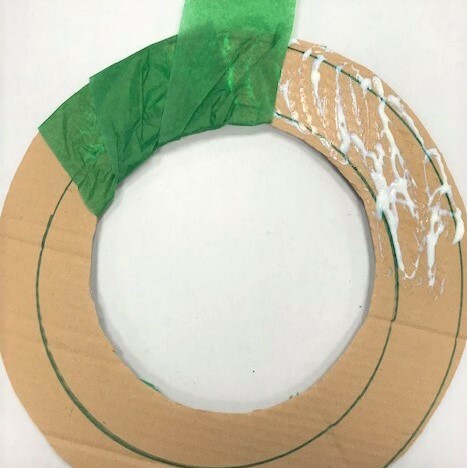 Apply some PVA glue to a small area of your cardboard hoop and start wrapping your tissue paper strips around the hoop. Continue doing this until all of the cardboard is covered by green tissue paper. 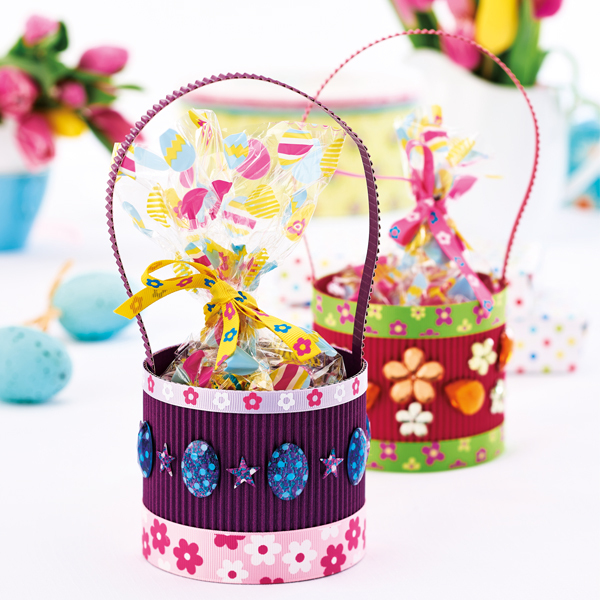 Once the glue has dried, apply PVA glue to a small area of your hoop and begin positioning pom poms to the glued area. 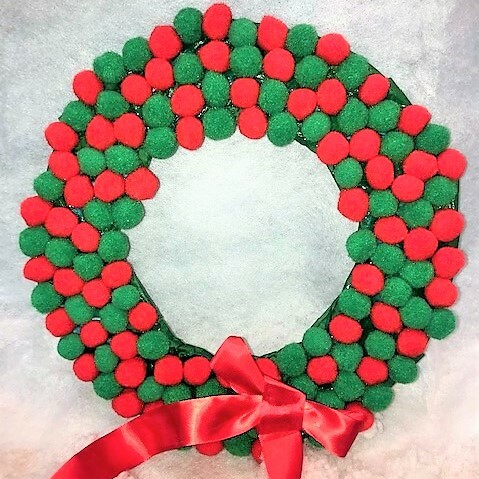 We have used our festive green and red pom poms. Continue doing this until the whole hoop is covered with pom poms. Now cut a length of ribbon – we have used red ribbon for a festive feel. 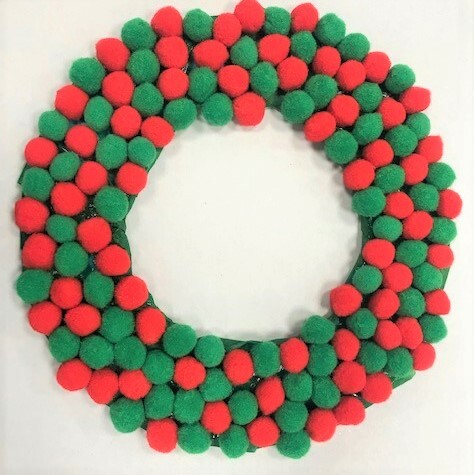 Loop this round and glue it to the top of your wreath (on the reverse side). This will enable you to hang your wreath. Finally, tie a bow and glue it to the bottom of your wreath to add a final flourish. Why not borrow some of the vibrancy from our Latin American friends and use a range of bright and bold colours that move away from the conventional Christmas palette? We have a range of coloured pom poms, feathers, bells and ribbons to help you give your wreath a Latin fiesta feel. 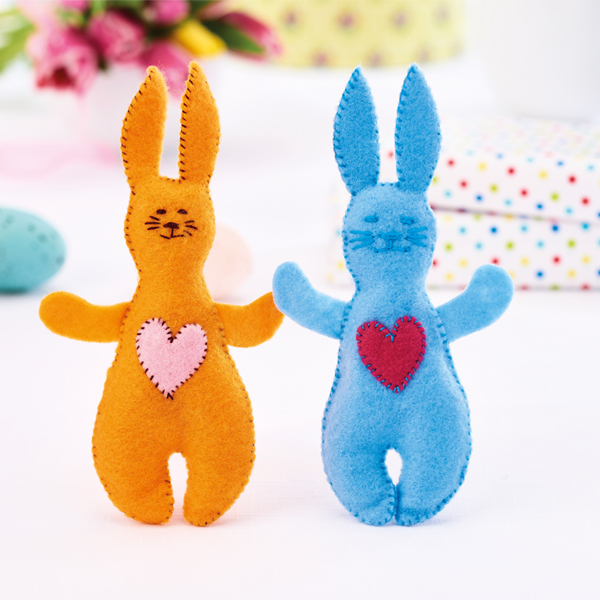 Don’t forget to check out tomorrow’s Bright craft idea.